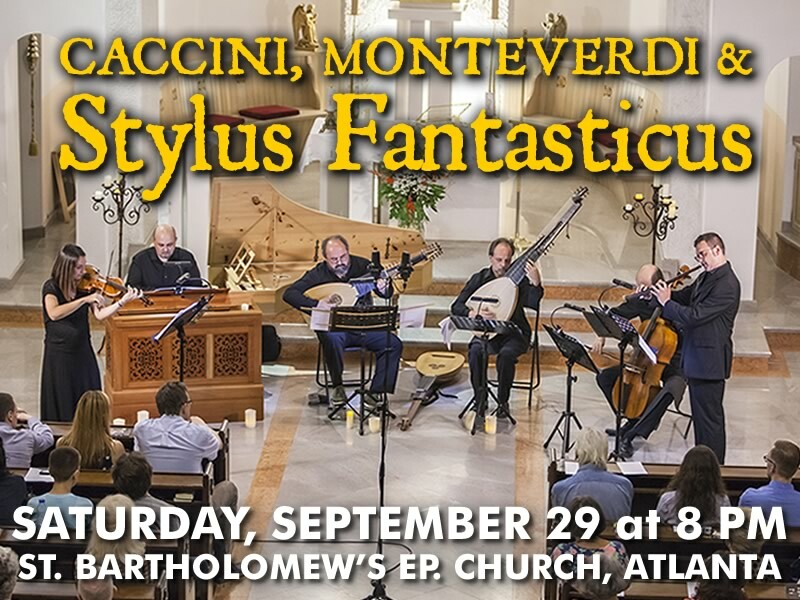 All concerts are held at St. Bartholomew's Episcopal Church, 1790 LaVista Rd NE, Atlanta, GA 30329 and begin at 8 p.m.
First concert of NTB's 20th Anniversary Concert Season in Atlanta will feature Italian cornetto virtuoso David Brutti in music of Caccini, Monteverdi and their contemporaries. This year commemorates the 400th anniversary of Giulio Caccini's death - one of the greatest composers, who is most well known for his collection "Le Nuove Musiche", which explained the principles of the Bel Canto singing technique through a variety of musical compositions. His contemporary and virtuoso master Claudio Monteverdi has been one of the best representatives of the Bel Canto. The exuberant composing style full of daring harmonies and virtuosic passages of Monteverdi and contemporaries such as Frescobaldi, Fontana and Castello has been described as "Stylus Fantasticus" - a "fantastic style". This is one of three exclusive concerts that NTB will present this season, and definitely one not to be missed. 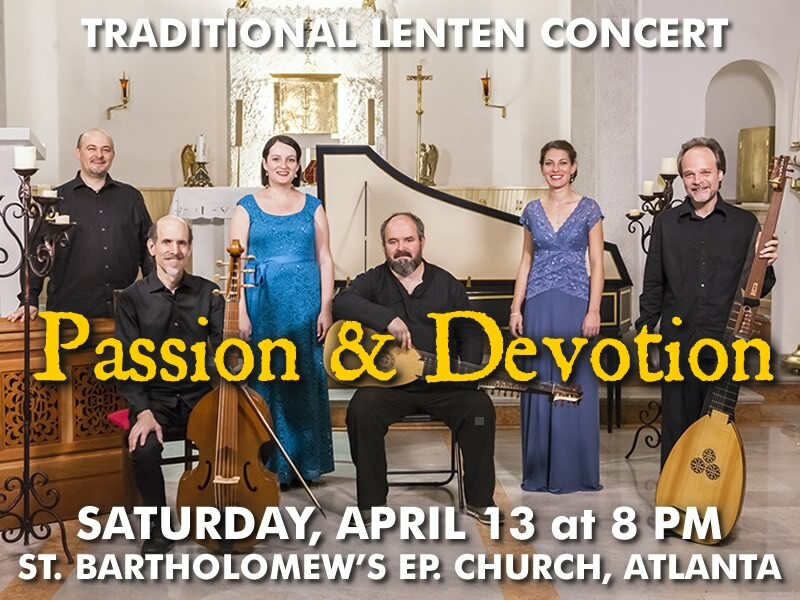 Tickets are available at http://www.newtrinitybaroque.org. Saturday, December 15, 2018 at 8 p.m.
New Trinity Baroque's annual Christmas concert features holiday-themed baroque concertos in a beautiful candlelight setting. This year's program includes some of the most popular as well as never-before-heard Christmas cantatas and concertos, featuring NTB soloists. 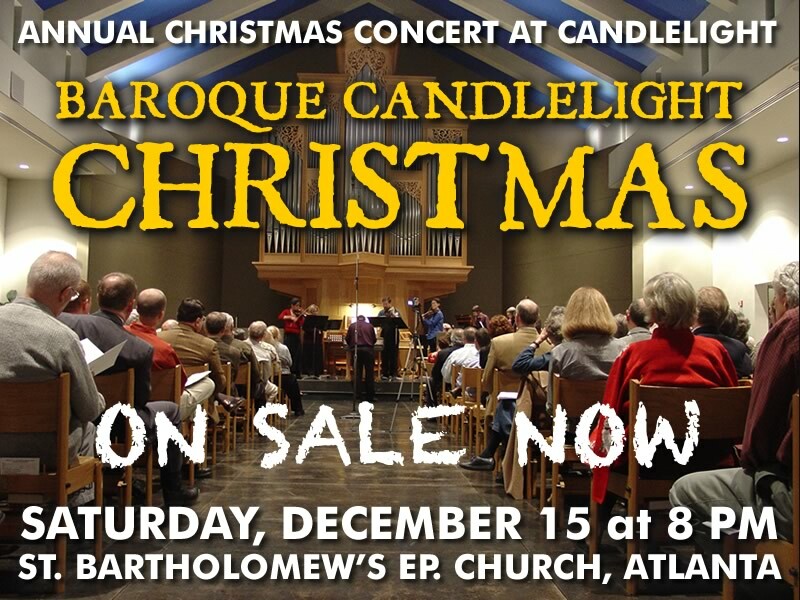 Join us for this wonderful festivity, described by the Atlanta Journal-Constitution as "the most satisfying concert of the holiday season – a model of how to do it." Concert of new and old music written by some of the most prolific and devoted composers of the Baroque Era, with Karolina Bäter, recorder and transverse flute virtuoso, who joins New Trinity Baroque again in a concert of passionate concertos, quartets and suites by Italian, German and English composers..